Lola Costa is 'spirit of the place' at Villa Il Palmerino, the last house in Florence. English painter Costa is 'genius loci' at Florence's Il Palmerino. Lola Costa (1903 – 2006) shared the artistic interests of her Anglo-French mother, Marie Antoinette Lesieur. In the early 1920s, Costa left her father’s home to live with her mother in France. It was there that her artistic exploration began. Despite social and economic restraints, mother and daughter had no qualms about standing on street corners painting, en plein air. They would often pay people in paintings rather than money. By the mid-1920s, both settled in Maisons-Laffitte where Lola began doing many odd jobs, from shop assistant to English teacher at the Berlitz School in Milan. She then moved to Tuscany to become a private tutor to Federigo Angeli, an up-and-coming Tuscan artist. Lola and Federigo soon developed an ideal “opposites attract” relationship. Federigo’s artistic style was reminiscent of Renaissance artists; he focused on technical perfection, sold his paintings and refused to sign them. Lola, on the other hand, entered local exhibitions, gave her work as gifts, and signed them. She was also a well-respected poet. Her creativity was at an all-time high from 1936 to 1948 when she worked in the studio the couple had built at Il Palmerino, a villa they’d purchased after English writer Vernon Lee. Lola Costa's works including Portovenere and Portrait of Ornella were exhibited at alongside paintings by Elisabeth Chaplin during the show co-organized by AWA called Private Mythologies. 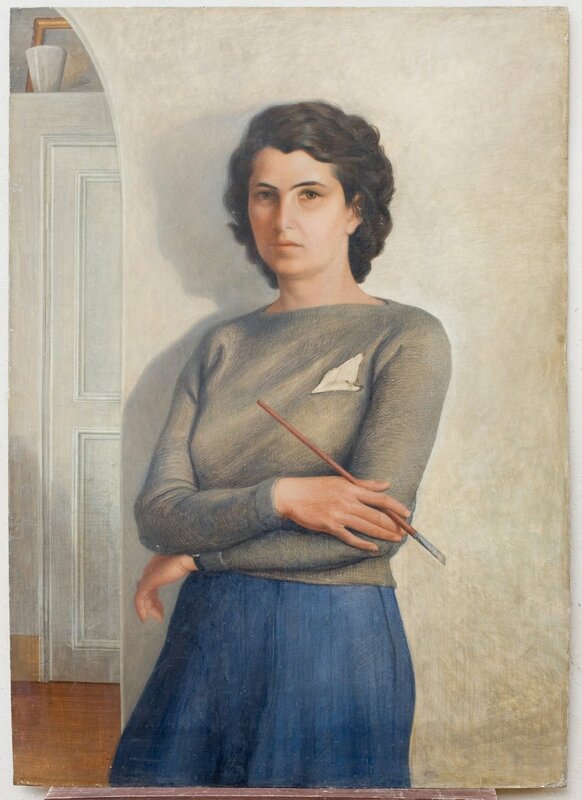 Held at Villa Il Palmerino in May 2014, the show focused on the artists’ intersecting themes which primarily celebrated the beauties of the surroundings countryside, and included numerous portraits of family members, neighbors and rural laborers. 'Il Palmerino', Costa's most famous work became part of Pitti's Modern Art Gallery collection that same year.